This network marketing training will help you if your upline is unsupportive, negative or has quit their business. Ugh… that’s the worst right? !… an unsupportive upline or one that’s completely quit! 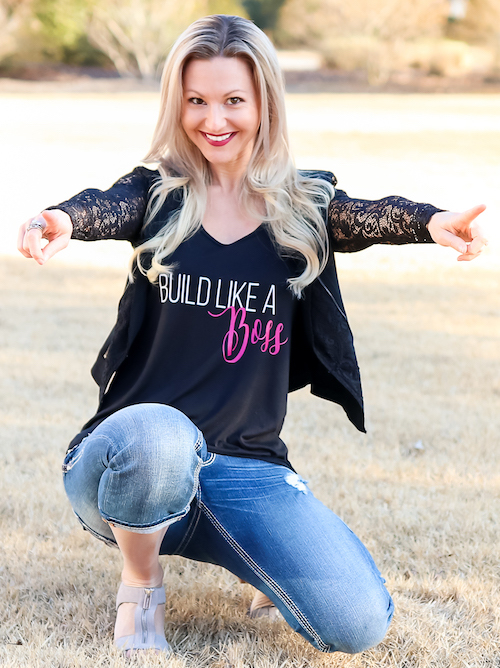 So how the heck do you move forward and build your business if you don’t have the support or mentorship of a good upline? In this Episode of Tanya Aliza TV, I’m going to show you how to grow your business even if you don’t have the support of your upline or you simply don’t have one at all. 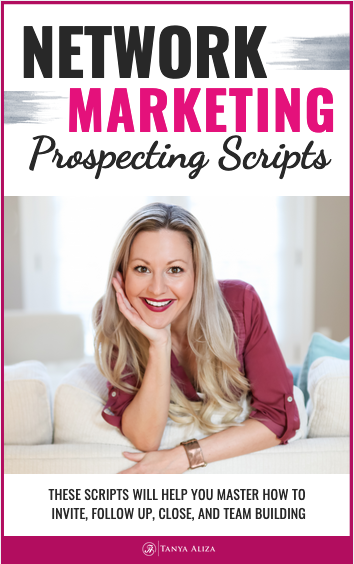 And today since we’re talking about what do if you have an unsupportive upline …I’ve got a really cool training that I think will help you with your business and getting results regardless of how unsupportive your upline is. 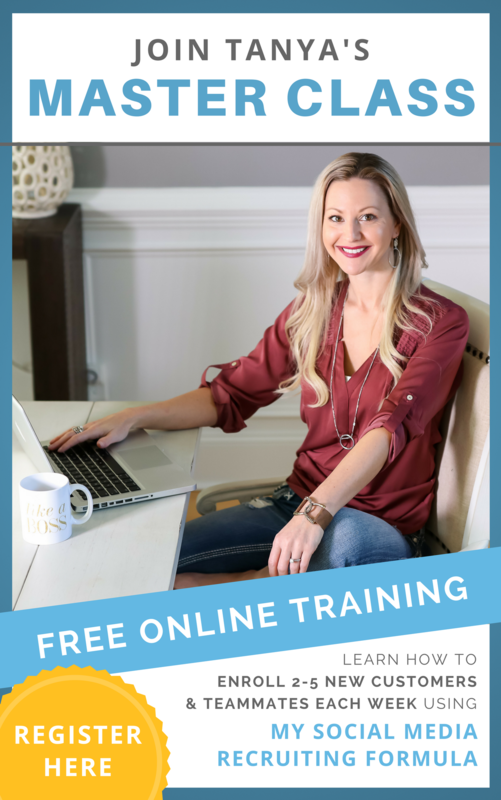 I’m doing a Free WebClass training where I’m going to show you How I’m Using My Brand and Social Media to Enroll 2-5 New Teammates Each and Every Week into my network marketing business. If you don’t have a supportive upline in your business, then you’ll definitely be able to relate to my story. I started my business in 2009 and in 2010 I decided to take my business online. My upline wasn’t happy about this and became very unsupportive about my decision. At that time, Social Media wasn’t as popular or accepted as it is today and I was kind of ‘the black sheep’ being a rebel and doing my own thing that didn’t line up with what they were doing. And believe it or not, I got shunned for going out of the box and trying something new. However…I knew that when I signed my distributor agreement form that it was my business and I was the one that would decide how I was going to build MY business. Is there a plan laid out that you should follow? Yes, success leaves clues and you definitely start by following the lead of those who are having success. Basically, your situation will look different from everyone else’s and the beauty of network marketing is that you can build according to your specific situation. Since I didn’t have my uplines support, I found some virtual mentors online that were having the success that I wanted. These virtual mentors were building their business how I wanted to build mine and they were also teaching their strategies which I started to plug into and implemented what they were teaching. However, I took all out massive action and eventually started to see AMAZING results come from the hard work I was putting in. And because of that my unsupportive upline started to come around and started asking me questions on what I was doing to create the results I was getting. That might or might not be your situation…but the best way to turn an unsupportive upline into a supportive one is by getting RESULTS. You DON’T need a supportive upline to have a thriving, successful organization. YOU are your own mentor and leader. But the best way to get their support (hopefully if they’re smart) is to go out there and create results for yourself. Network Marketing Training – What to do if your upline quits? If you suddenly find yourself in a situation where your upline quits…you can just go upline to them and reach out to them for support. I know for me if I have someone that is way down in my downline come to me for mentorship, I am more than happy to help because obviously, they contribute to the entire team volume. It makes sense that your upline even if it isn’t the one directly above will want to mentor you if you reach out to them. So don’t hesitate to reach out to the leadership because they will more than likely be happy to help you and mentor you. At the end of the day…. this is your business and you control it… don’t let anyone control you. My only caution with that is making sure that the virtual mentor you find has the results and lifestyle that you’re looking for. There’s a lot of ‘Coaches’ and ‘Gurus’ out there but you want to make sure they’re not only training on things but also implementing them in their own business as well. Another option is to go to your upline’s upline and ask them to mentor and support you. But the most import thing here… is your mindset. Don’t complain about the things that your upline is doing to you that you don’t like…learn from it and turn it into a lesson on what not do to your own team. You don’t need anyone else to build a thriving business. What you need is your DETERMINATION, DRIVE and COMMITMENT to go out there and build. Space is limited so make sure you get registered for this Free WebClass by clicking on the yellow button below. 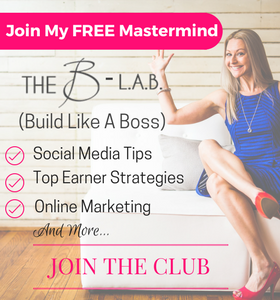 I hope you did because each week I put my heart into making sure you get some amazing network marketing training so you can rock it in your business while creating a life you love. 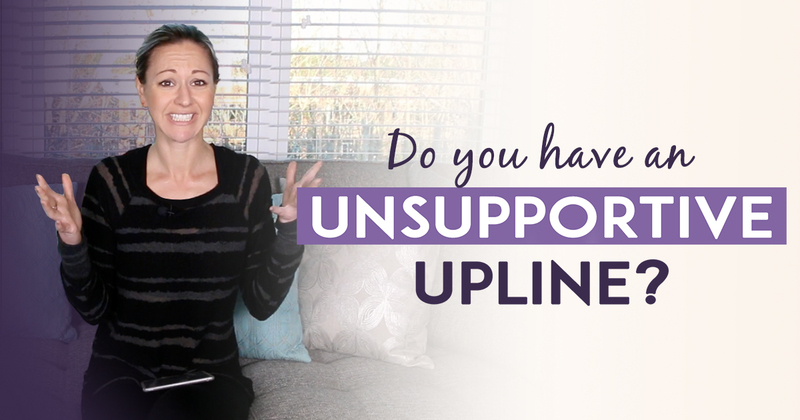 Question of The Week: Have you had an unsupportive upline or one that has quit? What did you do about it? Share in the comments section below. I’d love to know! Hope you enjoyed this network marketing training!